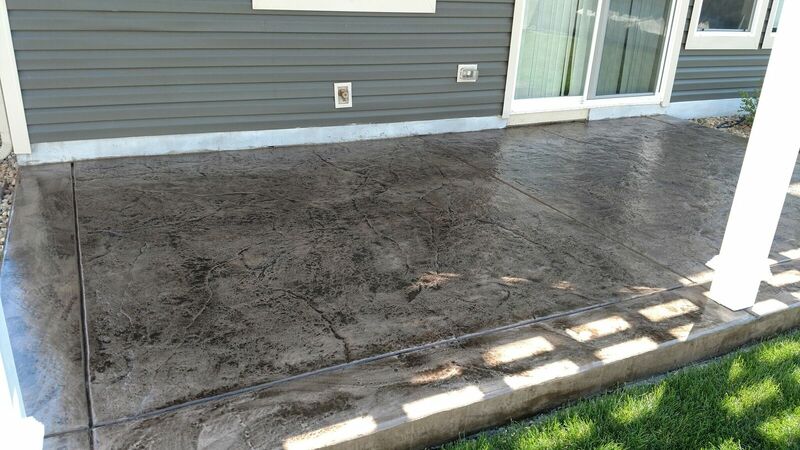 Stamped patio sealing. 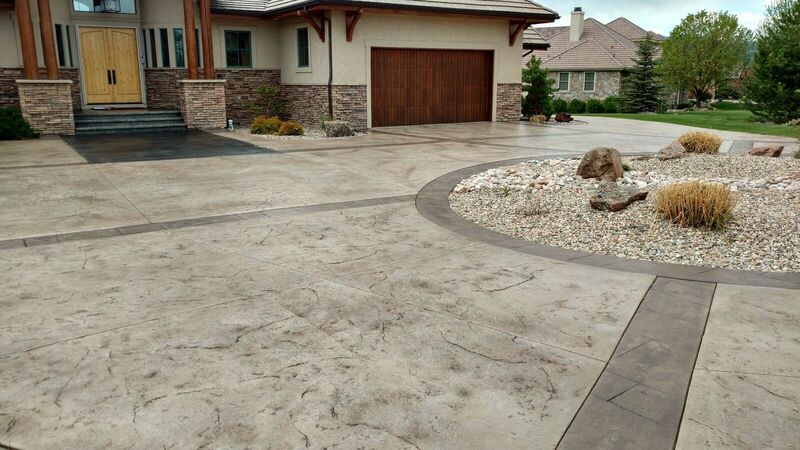 Our crew will meticulously apply a high-gloss weather sealer with non-slip traction additive to protect and beautify the look of your stamped concrete patio. Concrete staining. Our team can apply a decorative multi color concrete stain to any interior or exterior concrete surface, and then apply a protective clear coat to enhance the color for years to come. This will penetrate the surface and create a smooth, polished finish. Garage floor coating. 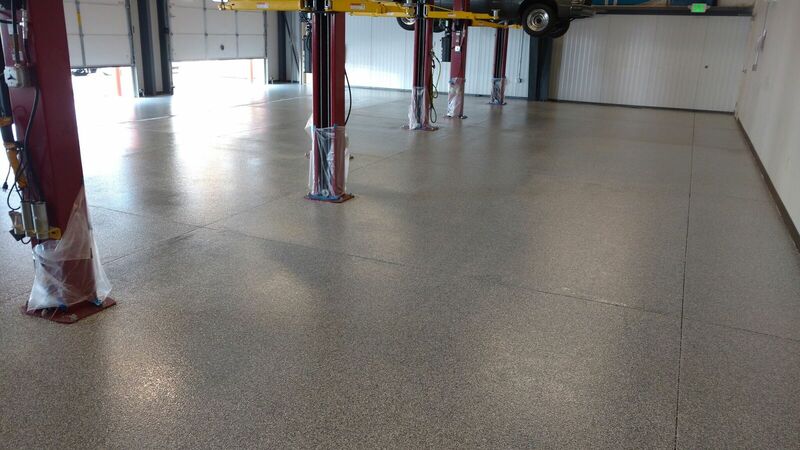 We can apply a customized polyaspartic chip coating or epoxy coating to protect, beautify and extend the life of your concrete floor. Ten year and lifetime warranties available. Metallic floor coating. Let our decorative team give your interior floor a “wow” factor that will impress all your guests. From home offices and basements to commercial showrooms, we can do it all. 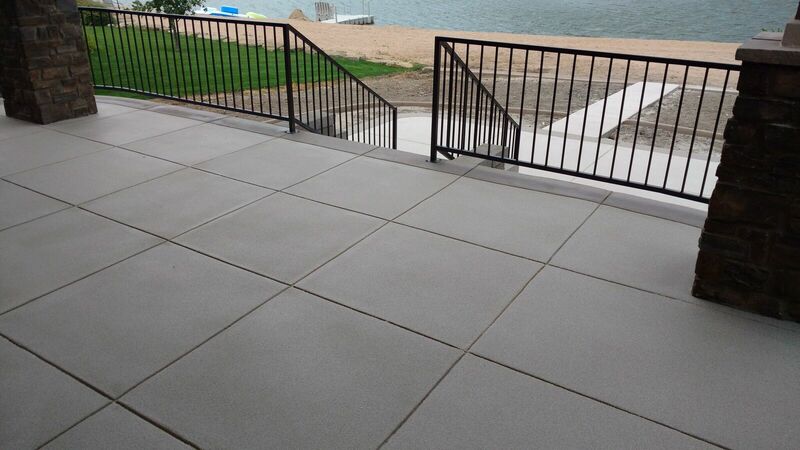 Quartz patio coatings. Our team can apply an armored colored quartz system on your outdoor patio or concrete that can handle anything you can throw at it. Commercial floor coating: from warehouses, air plane hangers, and commercial facilities there is no job our crew can't handle. Our crew will travel as far south as Colorado Springs as far west as Estes Park and as far east as Sterling. 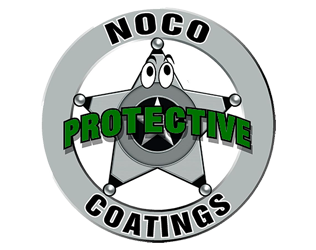 With over 25 years of experience in decorative and protective concrete coatings and asphalt maintenance our team has the knowledge, experience, and know-how to get your job done neatly, efficiently, and on time. Our team will personally work with you to get your job done without interrupting your everyday activities and the flow of your day.